Powerful manager of the system Registry and configuration files. Reg Organizer is an extensive and extremely powerful set of Registry tools required for effective System Registry management. This software lets you view, edit and safely clean the Registry. It allows to preview the Registry files you want to import (including the ability to preview files directly from Windows Explorer). Includes Registry cleaner, which will safely compact, repair and optimize the Registry. 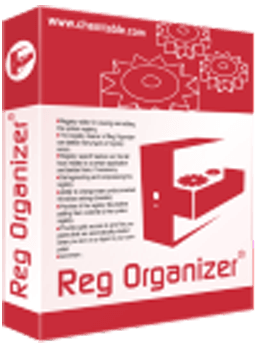 With Reg Organizer you can thoroughly search the Registry to find all the keys related to a certain application - Reg Organizer does this job quicker and better than other similar programs. Other Reg Organizer features include the ability to find and replace the Registry entries, automatic Registry cleanup, Disk Cleanup tool, access to many undocumented Windows features. Plug-in expandability gives unlimited possibilities of third party enhancements. Configuration files management. Reg Organizer lets you open and edit (i.e. add/delete/modify keys and sections) INI files of various applications. Also, we decided to rename the program to Red Organizer because many users confused “Reg” in its name with “Red”. In 7.35 this option is running as beta. To activate the new name, simply rename the desktop shortcut to “Red Organizer” and run the program.